Sing and play along to favorite children's songs! 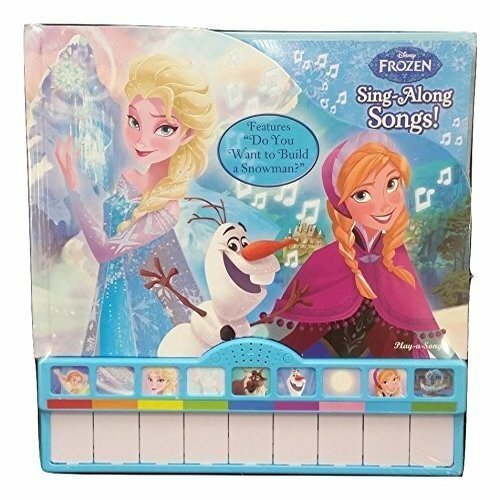 Keys light up to show beginners which notes to play.The story of Frozen is told through fun and engaging songs. Each spread will feature simple story text to help further explain the story moments. When the child presses a melody button, the song plays and keys light up, showing which key plays which note. After the song stops playing, each key in the song lights up again so the child can play the notes herself. 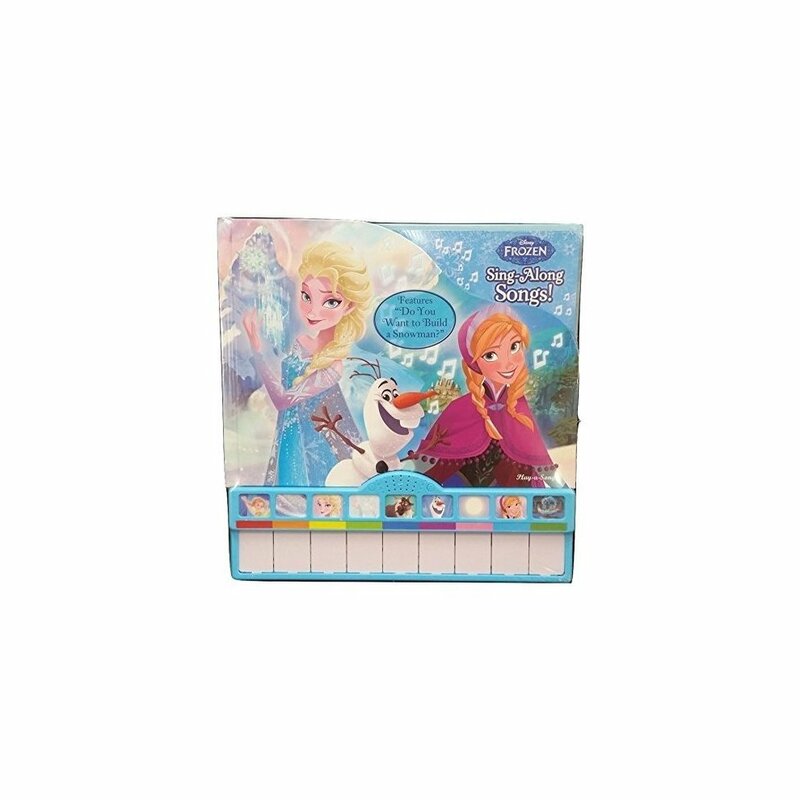 The child also can follow the simplified sheet music on each spread to play songs Play and sing 9 enchanting songs.Features "Do You Want to Build a Snowman?"